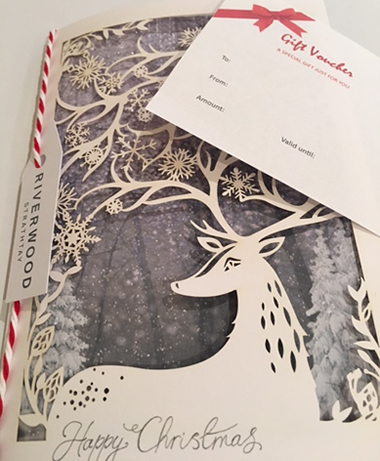 What better gift is there than a Riverwood experience? Our gift vouchers are beautifully presented and can be for any value you wish. They may be used for anything at all. With your voucher we can supply Iain Burnett luxury chocolates or award-winning Coach House flowers. We can offer a voucher for champagne, a riverside dining experience or a contribution towards a relaxing stay at Riverwood, to the value of your choice. Please contact us for details or to book.